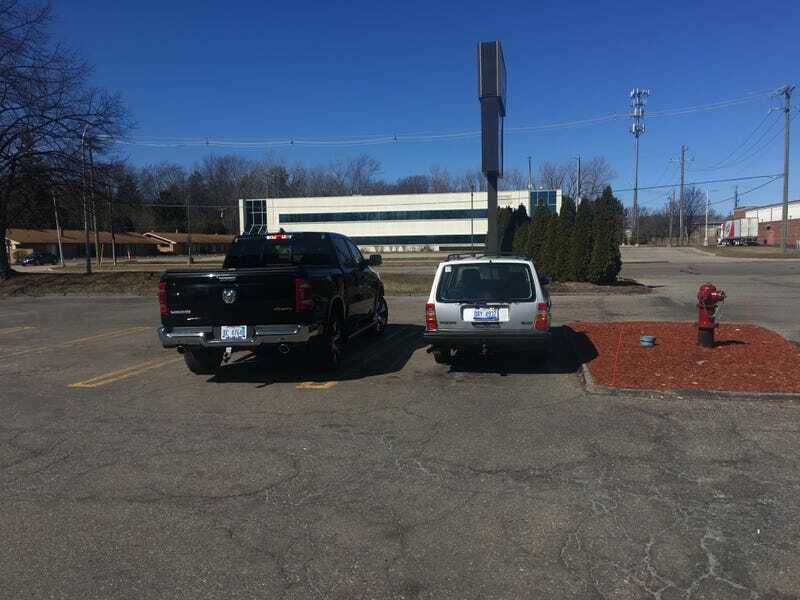 Wow, my 240 is tiny next to that newer Dodge. I’m decent at working on my car. I know how to do it, and I’ve done numerous fairly in-depth repairs. Somehow though, I get really aggravated just doing oil changes. If I wasn’t worried about the lube techs screwing it up, it always feels worth it just to spend the $20 and have someone else do it and take the 20 minutes. Rather than the much-longer it usually takes me. I know, I know, it should be a 15 minute job, but it never is. Always little things that get in the way. Always some mess, always some trouble. I have the garage. I have the tools. I have the oil-dry. I have the time. Really in-depth stuff on the car? I love that, taking stuff apart, fixing it, putting it back together. Changing the oil? Annoying and always feels worth it to pay someone else to do it.